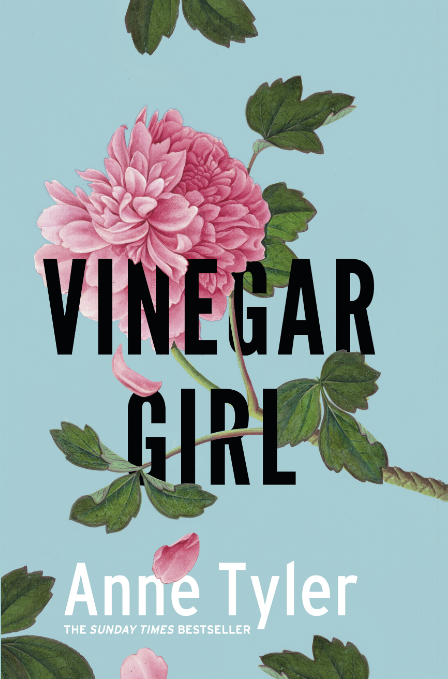 The latest novelistic offering in Hogarth Shakespeare’s project to refashion the bard’s tales into contemporary retellings, Vinegar Girl compellingly revitalises one of Shakespeare’s most controversial plays, The Taming of the Shrew. The challenge of remaining faithful to a play that has generally been interpreted as a sexist endorsement of patriarchal hegemony seems daunting, but Tyler pulls off the feat of sticking to the general plotline and the central characters outlined in Shakespeare’s text without espousing its misogynistic overtones. Tyler achieves this by softening the rougher edges of the characters to make the play’s gender politics and the whole notion of dominance more palatable to the modern reader. She revamps Petruchio as Pyotr, a less lordly and far more endearing, critical and provocative, but not ideologically sexist male. He’s a Russian immigrant who works as an invaluable assistant for Dr. Battista, Kate’s father, a scientist engaged in cutting-edge experiments. Although Kate is headstrong and clearly not someone who will let any male chauvinist walk all over her rights, she is not obdurate and agrees (with some misgivings) to marry Pyotr so that he can obtain a green card. Although it starts out as a sham wedding, the love interest develops and it quickly becomes a marriage of true minds. Kate is from the start a less headstrong, more compliant Katherina, since she is accommodating and kind-hearted, despite her vinegary temperament. She lets herself be coaxed into helping and later allows herself to fall in love with Pyotr because his social awkwardness reminds her of her own bristly relationships to others. It is not that Kate becomes submissive but rather that she is seduced by Pyotr’s desire for her and finds his forcefulness and his critical edge similar to her own. It would have been easy to turn this tale ino a feminist manifesto in which the tables are turned and the tamer is humbled and comes to recognise patriarchy for what it is. John Fletcher’s sequel to Shakespeare’s play, The Woman’s Prize or the Tamer Tamed, attempted a farcical take on that within Shakespeare’s lifetime. Tyler challengingly abides by the original storyline, exploring the notion of character growth, making the shrew’s change of heart entirely plausible without demeaning the young woman. Tyler is known for her ability to limn character, and Vinegar Girl is no exception to that rule. Character for Tyler is a fluid substance, one that wavers, reflects, twists and turns. Although the two sisters are initially presented as foils, they gradually begin to resemble each other. Bianca the ingénue of Shakespeare’s play is rendered as Bunny, a teenager whose name says it all. By the end of the story, the two sisters have unwittingly exchanged their characters. The last few pages of the novel leave the reader with an enraged Bunny turned shrew, berating her sister for having become so sweet and compliant. In some ways Vinegar Girl comes across as a response to negative criticism that Tyler has had to withstand over the years, despite her overwhelmingly positive reviews. It has for instance been argued that her characters are too sweet and her endings too felicitous. In an interview for The Guardian, Tyler reacted to the criticism: “For one thing I think it is sort of true. I would say piss and vinegar for [Philip] Roth and for me milk and cookies. I can’t deny it…. 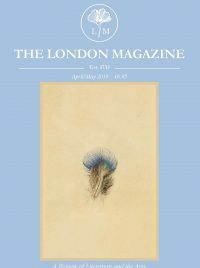 [However] there’s more edge under some of my soft language than people realise.” The vinegar in the title of her latest novel reads like a determined bid to give the narrative some teeth, and the first half does have quite a humorous, sardonic bite. One can’t help wishing that Kate’s acidity could have lasted longer or been a little more corrosive nevertheless. Another criticism that has been levelled at Tyler is that her male characters lack testosterone. This is amply made up for by Pyotr who doesn’t hesitate to punch the young man who abducts his lab mice. Pyotr’s article-clipped Russian English also endows him with a roughness that leaves him anything but effete. All in all, it’s a pleasure to read Vinegar Girl, and although it may not rank with Tyler’s Dinner at the Homesick Restaurant, it’s certainly a lively, quirky, entertainingly rendered oddball family chronicle.